Domaine Gilles Barge has a long history in the Northern Rhone Valley as the Barges family was active in the wine business as far back as at least 1860. However, it was not until 1929 that they began to produce and bottle even a small amount of their own wine from their domaine in Ampuis. At first, their early days consisted of about 75 cases of wine per vintage. The remainder of their harvest was sold to negociants. By the 1960’s, at Domaine Gilles Barge, they were producing and bottling much more wine. By 1974, what we know of as Domaine Gilles Barge was bottling their entire harvest. At that time, the wines were sold under the name of Pierre Barge, the father of Gilles Barge. That changed in the early 1990’s. Gilles Barge has been managing the estate since 1994.The son of Gilles Barge, Julien Barge, continues taking a more active role in running the domaine. It is expected that Julien Barges will eventually take over the estate. Domaine Gilles Barge produces multiple wines from Cote Rotie as well as from St. Joseph and Condrieu from 8 hectares of vines. They own the majority of those vines, which are well placed on the steep, rocky, terraced, hillside vineyards. However some of their vines are leased from other growers. Domaine Gilles Barge is a very, traditional Cote Rotie producer in good, but fresh, slightly rustic style. The grapes are generally whole cluster fermented, meaning that they are not destemmed, except in very difficult vintages. Domaine Gilles Barge owns vines on the Cote Brune and the Cote Blonde in the Combard, Boucharey, Lancement and Chavanay lieux-dits. Their oldest vines were planted in 1946, in the Baleyat lieu-dit. On average, their vines are more than 50 years of age. The wines are vinified in tank. Malolactic fermentation takes place in vat. The wine is aged in a combination of 3 various barrel sizes, 228 liter, 550 liter demi-muids and used oak barrels that range from 12 to 25 hectoliters. New oak barrels are not really used here, except when barrels or vats need to be replaced. The barrels generally range in age from 2-8 years of age, or older. Domaine Gilles Barge Cote Rotie which was produced for the first time with the 2013 vintage. The blend is generally going to be 95% Syrah and 5% Viognier. 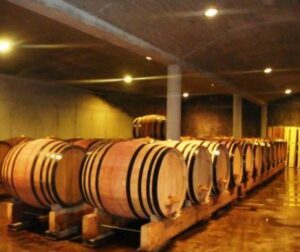 The grapes are whole cluster fermented and the wine will be aged in used 600 liter barrels for an average of 30 months before bottling. Domaine Gilles Barge Cote Brune made its debut in 1996. The wine is produced from mostly Syrah with a bit of Viognier that varies from 1-3% for good measure. This is his flagship wine with their oldest vines, many of which date back to 1952. The grapes are not destemmed. The wine is aged in used 600 liter barrels for about 30 months before bottling. Domaine Gilles Barge Cote Blonde comes from old vine Syrah planted in the Cote Blonde lieu-dit. The vines are 50-60 years old. The grapes are whole bunch vinified. Ageing takes place in a combination of French oak barrels, of which, about 10% are new, and demi-muid, of which 10% are new as well. The total ageing time varies from 30-36 months before bottling. Domaine Gilles Barge Cuvee de Plessy was first produced in the 1996 vintage. The fruit comes mostly from grapes planted on the Cote Blonde in various lieux-dits. The best vines are for this wine are planted in the Lancement vineyard. The wine is produced from an average of 95% Syrah and 5% Viognier, depending on the character and quality of the vintage. Domaine Gilles Barge Le Combard was first made in the strong 2009 vintage. The wine can be produced from 100% Syrah, or a small amount of Viognier can be added to the blend, depending on the vintage. All of the grapes as the name suggests, come from the Le Combard lieu-dit, which is just due southwest of their Lancement holdings on the Cote Blonde. The grapes are either 100% whole cluster fermented, or a portion of the grapes could be destemmed, depending on the vintage and its character. The wine is aged for an average of 24 months in used, 600 liter barrels that range from 2 years of age up to 8 years of age. Domaine Gilles Barge, when young, should be decanted at least 1-3 hours, give or take, allowing the wines to soften and open their perfume. Older vintages might need very little decanting, just enough to remove the sediment. Domaine Gilles Barge is usually better with 5-7 years of cellaring and should be at its best between 10-20 years of age. Domaine Gilles Barge is best served at 15.5 degrees Celsius, 60 degrees Fahrenheit. The cool, almost cellar temperature gives the wine more freshness and lift. Domaine Gilles Barge is best served with all types of classic meat dishes, veal, pork, beef, lamb, duck, game, roast chicken, roasted, braised and grilled dishes. Domaine Gilles Barge is also good with Asian dishes, hearty fish courses like tuna, mushrooms and pasta. Condrieu, the white wine of Domaine Gilles Barge is best served with a myriad of different seafood dishes, shellfish, crab, lobster, sushi, sashimi, chicken, pork and veal, as well as Asian cuisine. Domaine Gilles Barge used to produce a traditional or regular Cote Rotie, but that was discontinued in the early 1990’s. During the 1970’s and 1980’s the domaine also produced a small amount of a special Cuvee from leased vines, which is no longer being produced. Full-bodied, structured to age with a meaty, earthy core of spicy, meaty, fresh, bright red fruits, give this time in the cellar for further aging. Medium bodied, bright, forward, peppery, spice, fresh and almost crisp, on the red fruit side of the style range. This is not a wine to lay down, it's going to be best in its youth. Light, early drinking style of Cote Rotie that displays more on its earthy, spicy red fruit nose, than on the medium bodied, bright, fresh, red berry palate. Smooth, young and almost seductive in character, this medium bodied, forward, Rhone wine offers a generous serving of peppery, fresh, black raspberries, cherries and earth.